Language barriers exist across the globe, and it seems three Egyptian criminals have given a whole new meaning to the term Internet “phishing.” Three divers were arrested Wednesday after coastguards found the men attempting to cut underwater Internet cables belonging to Egypt Telecom, the country’s monopoly landline provider. The attack explains a few things, as Egypt was reportedly experiencing slower Internet service and cable disruptions since last Friday. The divers were found tampering with the SEA-ME-WE 4 set of lines, which feed the Mediterranean, Africa, Europe, the Middle East, and parts of Asia. 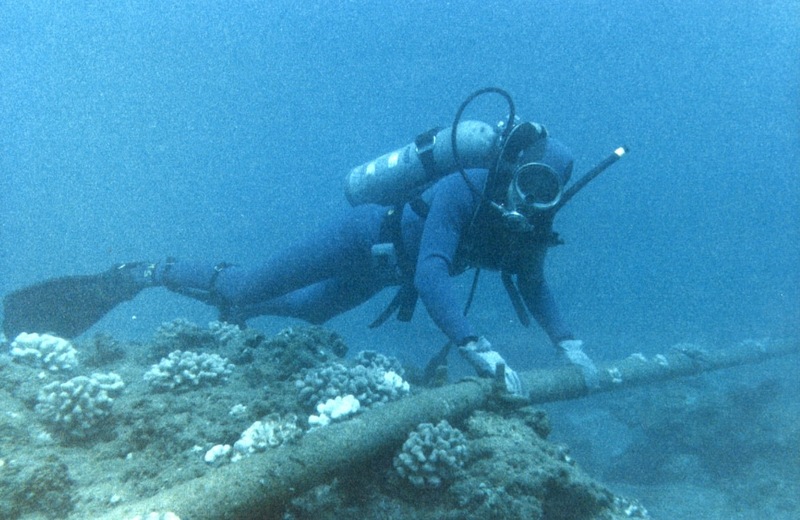 The submarine cables are approximately just three inches thick, capable of transferring 40Gbps to 10Tbps of data. Since the cables were severed, some congested data had to take the longer route around the world to be transferred, causing delayed service. Officials stopped the fishing boat off the Mediterranean port of Alexandria, though they could not figure out what the men’s motives were. The last time a similar incident occurred, a ship anchor landed on underwater cables in 2008, causing Internet outages across the Middle East. Ship propellers have also often caught onto the cables, tangling and cutting the fiber wires. With political uprising throughout the region, it’s no surprise people will go to great lengths (or depths) to disrupt a communication medium. But, alas, it appears an actual phishing attack is too complicated than physical ones for our diving criminals. Now that the perpetrators are under police custody, Telecom Egypt says services should be restored to full capacity by today.